Things could always be worse, as the saying goes. All at Sauber know this. They experienced it. In recent times the team existed in financial turmoil and for years. Its car for each season was essentially a rehash of the preceding one. Many staff left and, to be blunt, hearing confirmation of the team going out of business seemed a matter of when not whether. Yet it was at last rescued in mid-2016 when Longbow Finance took over. As is often the way with such things a shake-up followed. Team principal Monisha Kaltenborn left mid last season and the highly-rated Frederic Vasseur arrived eventually in her stead. Earlier in the year Jorg Zander came in to head up the technical side after a long spell away. As is also the way of such things the legacy of the under-investment will linger a while. Zander found a team not only rather husk-like after years of survival mode, it also was somewhat in disarray. Sauber's situation therefore is like Renault's of being on the long (or Longbow?) road back, except it's at an earlier point on the curve. Longbow's injection was also too late to fundamentally alter last year's car, which reflected the previous scrimping and saving. Not only were the aerodynamics basic - and the big shift in regulations could not have been worse timed for a team in such a situation - also year old Ferrari engines were used, which sank from the pace as the campaign went on. And now it's not only about Longbow. The team also is bedecked in part with Alfa Romeo colours. It's not F1's long-awaited fifth engine supplier but it does mean closer ties with Ferrari (which owns the Alfa brand) as well as now getting up to date engines. Good news. Staff numbers and factory space also are set to increase. It showed in the Sauber launched for this year, it appearing the biggest departure from the previous year's car of anyone on the grid, alongside possibly Williams. Plenty of detail has been added, and there was - yes - a clear Ferrari influence. The trouble started though when the car started to run on track in testing. It looked well short of grip as well as tough to handle, evidenced by it visiting the gravel frequently. All estimates at the pecking order had it off the back of the pack. With a car with such a different direction and added complexity the probability is it'll take time to understand it. Its technical relationship with Ferrari should help resolve things too. But for now Sauber has some head scratching to do. 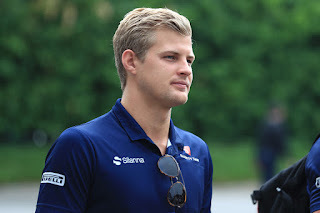 It may by now feel odd to say but Marcus Ericsson was one with quite the potential in the lower formulae. Things levelled off however when he encountered design-to-degrade tyres near the top, which didn't suit him. He fell back on his ability to raise cash, and this has helped him get an F1 race career stretching back to 2014. Many therefore view him as an identikit pay driver. It's difficult to say whether this is harsh or not. There have been good performances from Ericsson in his F1 career, particularly towards the end of seasons, but consistency has always been lacking. He's also never shaken his tendency to bin it. More durable Pirelli rubber last season didn't resolve a great deal either. Then again he's had highly rated team-mates over his time at Sauber in Felipe Nasr then Pascal Wehrlein, and has certainly not been roundly trounced by them. Indeed he's often been ahead, and while last year the common reaction in such circumstances was to criticise Wehrlein perhaps we did Ericsson a disservice. He's close to Longbow Finance which bought the Sauber team so he'll be able to fall back on his relationship with money for a while longer. 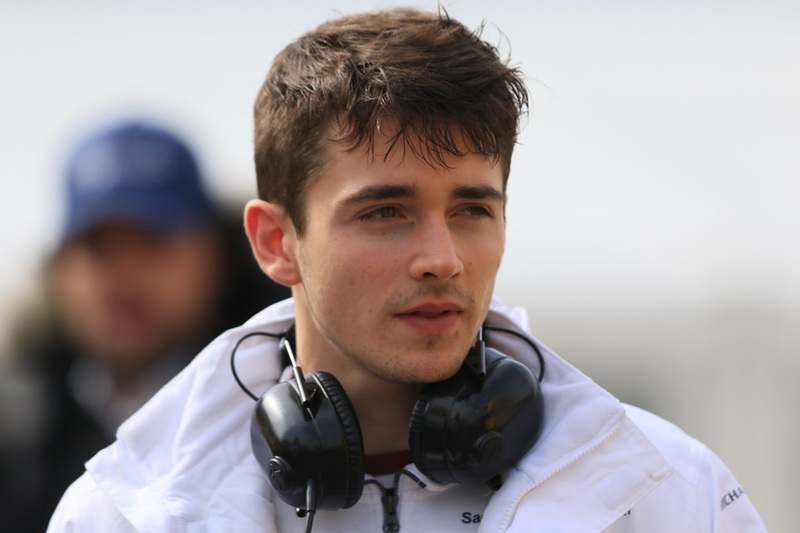 But on the other hand he likely in 2018 faces his most formidable team-mate yet in Charles Leclerc, and with the Alfa tie-up there's clear potential for Leclerc to become the team's golden child. All rather invidious for Ericsson. But he's surprised us before. Not all next big things arriving in F1 live up to the tag. You could even say that most of them don't. But the best evidence is that Charles Leclerc is far from any old 'next big thing'. The Ferrari protegee comes in highly recommended; one with pretty much everything. He's reigning F2 champion, and bagged the GP3 crown the year before. Indeed against good opposition he became the first rookie to win a F2/GP2 title since Nico Hulkenberg in 2009, and he reckons that the formula with its odd tyre compounds is even tougher now than then. He's quick of course, as well as consistent and a fine racer. But perhaps the most impressive thing he showed last year was his ability to learn and adapt in double quick time. With those gumball tyres mentioned he fell from the pace in his first race in Bahrain after losing the fine edge of his rubber, yet he vowed not to let it happen again and immersed himself in the data. And it didn't happen again. But even so he can't afford to hang around. Word from Italy is that Ferrari's plan is to replace Kimi Raikkonen with Leclerc for 2019, so long as he meets the high expectations. Plus he only needs to look at his predecessor in that seat to see what can happen to a next big thing reputation if the owner of it doesn't beat Marcus Ericsson as decisively as expected. Also it looks like his car will struggle, initially at least, so he may not have anyone else to race. No one ever said F1 was easy. 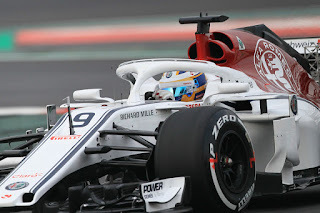 He also threw his Sauber off track a couple of times in testing, though he has the defence that the car is clearly tricky. And as noted he is not one to repeat errors. Keep an eye on this one.